Robert Broadhurst and his partner Julie Leaver knew there was a major task ahead of them when they left behind their city life in Perth to take over the 560,000 acres of Narndee and Boodanoo homesteads in remote Western Australia. The pair moved there in November 2014 after purchasing the pastoral lease on the property with a vision of embracing the beauty and sheer ruggedness of the outback. Robert and Julie aimed to promote the area as a burgeoning tourist alternative and enjoy life in the old pioneering spirit by introducing cattle onto the station. Robert hails from a country background, but the couple admit that it has been tough going to push on with their plans in such a harsh and unforgiving environment. One of the early hazards they faced was the threat posed by some of the animal residents who already called the vast Narndee ranges home. Namely, wild dogs. 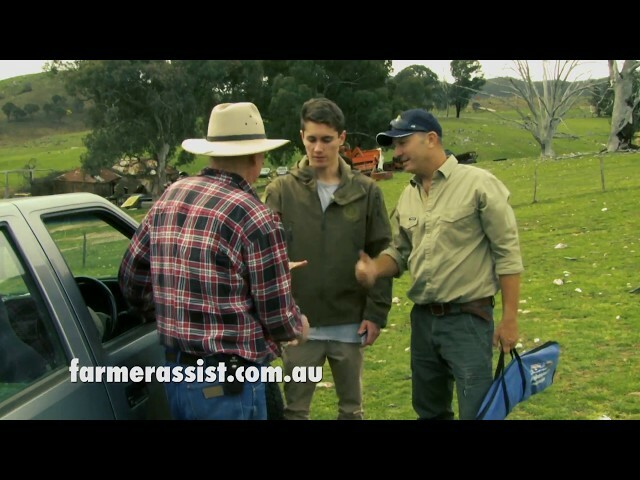 Facing such a sly and ruthless foe, the pair have called in expert help in the form of shooters enlisted in the SSAA Farmer Assist program. These volunteers have offered up their time for free and have been busy in various groups for the past few months with weekend assignments to cut down the number of wild dogs running amok around the property, undermining the new owners’ efforts to gradually introduce growing numbers of cattle. Kangaroos are also a menace, but Robert has taken a professional shooter on board to tackle that part of the pest problems. It is the Farmer Assist members who have earned the gratitude of Robert and Julie for their non-stop hard work and endeavour in curbing a seemingly endless blight. “It’s a big job, because many of the shooters are from down south and they are used to foxes down there, so a lot of it is new to them,” said Robert. Robert has previously worked in shearing sheds and his farming credentials mean that he is acutely aware of what it will mean to take on the wild dogs. “It’s a lot different than other types of hunting. There is a lot of sitting, waiting and stalking rather than driving round and spotlighting,” he said. The time and commitment put in by the Farmer Assist members is greatly appreciated by Robert and Julie, who wish they could express their thanks in a more concrete manner. “The shooters don’t have time to hang around on the station,” said Robert. “We would like to offer them a meal and a drink when they have finished but they can cover up to 500km over a weekend and once their work is done they just have to get going. One group from down south recently started at 4pm on a Friday and finished at 1pm on a Monday. As the long-term plans of the recently settled adventurers gradually evolve, at least they know they have the ever-ready volunteer ranks of the SSAA Farmer Assist crews on their side. Listeners may have come across an interview about the SSAA Farmer Assist program with Queensland SSAA members and Farmer Assist shooters Rob and Rod which featured on ABC’s Bundaberg station. Such positive media coverage is a great way to put the message across that we are responsible shooters who are just doing our bit to help out our farmers and protect lands from the damage caused by pest animals. 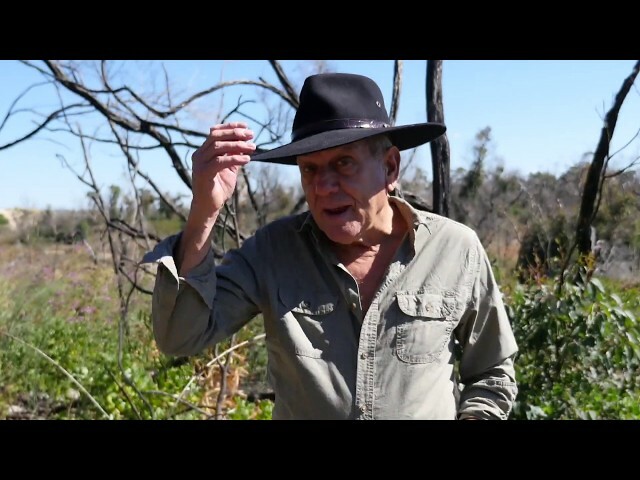 Rob and Rod detailed to the program’s interviewer Lydia Burton how they had recently undertaken their second excursion from Bundaberg to the tiny homestead of Linden, which is located 850km north-west of Brisbane. Their mission was to cull kangaroos under a damage mitigation permit. Kangaroos in plague proportions had been inflicting untold damage on the drought-ridden area. The pair of shooters carried out the task off their own expenses, camping in shearers’ quarters and leaving after about a week. The duo explained that they were both country people who simply wanted to help the farmers and once they heard about Farmer Assist, they realised that was the way to do it. The shooters described seeing the area in its barren state as “heartbreaking” and how after their first visit they didn’t know if they had done much to help because when they left, they could still see kangaroos leaping about the property. But following their second trip, they felt that they had made a difference with their efforts.